Google’s new VR headset: Daydream View requires a suitable “Daydream Ready” smartphone to operate. Here is a list of known Google Daydream Compatible Phones. Taking it’s lead from the earlier Google Cardboard project, the Daydream View is a polished HMD constructed largely from comfortable fabrics and designed to accept a number of smartphones. 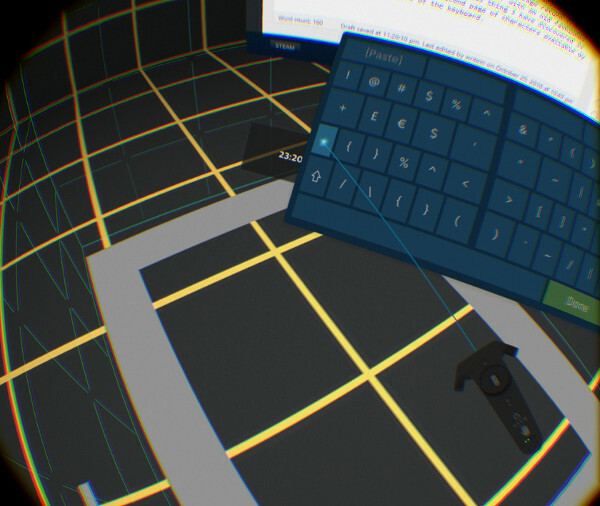 A tracked remote control allows for greater VR environment interaction. At launch, Google’s own Pixel and Pixel XL smartphones are the only fully “Daydream Ready” phones on the market. Further Google Daydream Compatible Phones are in the works. Several manufacturers have announced that they have forthcoming Google Daydream certified handsets. ZTE Axon 7 $400 July 27 2016. Daydream Compatible with Nougat Update. Google lists the first Daydream Compatible phones as the Google Pixel and Pixel XL smartphones. Google lists both of these high-end smartphone handsets as Daydream Ready devices. 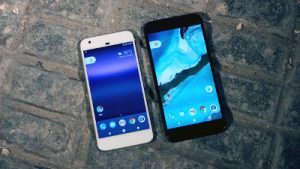 The two handsets are already on sale with list prices of $649 for the Pixel and $769 for the Pixel XL. With the update to Android 7, Motorola has announced that the Moto Z and Moto Z Force are Daydream Compatible. The updates to Android 7 will be rolled out as of the week starting November 21 2016. The Moto Z RRP starts at $624 which is slightly less than the Google Pixel. ZTE have confirmed their Axon 7 is Daydream compatible as of the Android Nougat update. As of mid February 2017, the Axon 7 is the cheapest Daydream phone on the market. The ZTE Axon 7 costs $400. Asus announced at CES 2017 that the Asus ZenFone AR will be Daydream VR compatible. Tango compatibility (Google’s Augmented Reality Platform) is also featured on the ZenFone AR. The Asus ZenFone AR is expected to be released around Q2 2017. Other Google Daydream Compatible Manufacturers. According to The Verge, Samsung, HTC, LG, Xiaomi, Huawei and Alcatel will also be hardware partners for Google Daydream. Google Daydream Compatible phones have yet to be announced for these partners. I will update this page as and when new information on Google Daydream Compatible Phones becomes available.